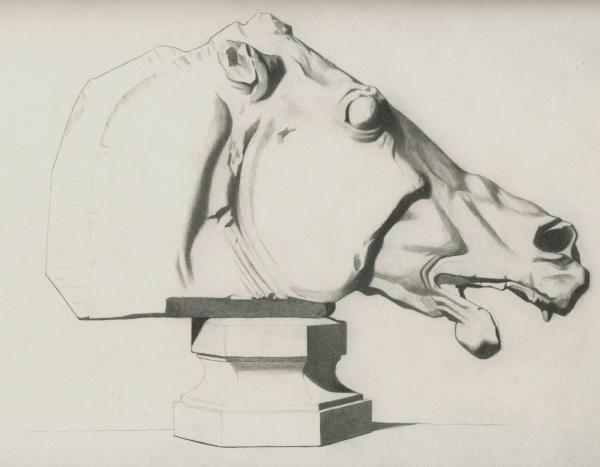 I made two attempts at Bargue Plate 37, the "Head of Horse, Parthenon", and neither of them got it right. I spent a combined 40-50 hours on these; I've lost count. I don't know if I can stomach a third attempt, but I know that I should try! Frustrated with the first attempt, I rushed in to the second without properly sizing it up. In fact, I did everything by eye, taking no measurements whatsoever. The results might *look* okay, but it is actually quite unlike the original plate. Angles are incorrect almost everywhere, and overall it is a very poor reproduction. 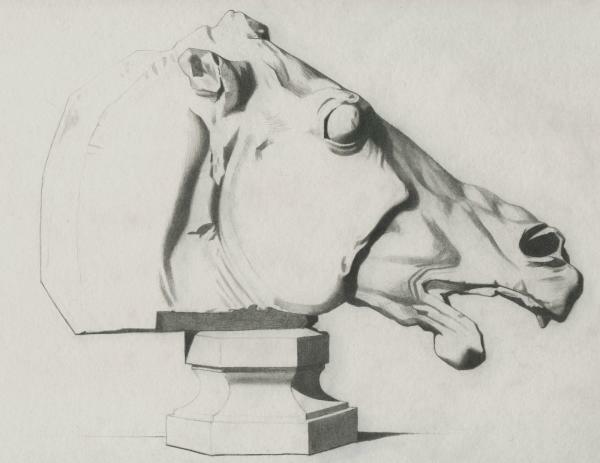 This text, Bargue plates: horses' heads, by Sam Haskell is licensed under a Creative Commons Attribution-NonCommercial-ShareAlike license.